He had a story of two mice. Fables of John Gay (somewhat altered). The word-picture fable book : or Old Aesop in a new dress. 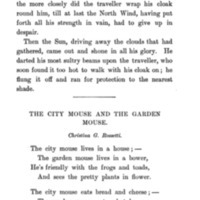 Click on any image to see the full text of the fable where the image appears!